Every week Gold subscribers on the Xbox are given discounts on certain games and DLC, which is a neat bonus if you’re really spending the money to be able to play multiplayer. 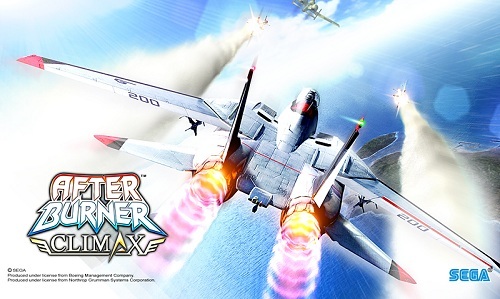 This week one of those games is Afterburner Climax, and it’s only £3.43/$5. It was an incredible arcade title at its release in 2006, and it doesn’t look like it’s aged in the slightest. At $5 for one of the finest arcade games ever developed at AM-2, it is an absolute essential purchase for any Sega fan. Even if you don’t have a gold subscription, just pay the $10 right now anyway. The game was far more than that already anyway, and if the popularity gives rise to ports of other AM-2 titles like Border Break then you will have quite literally made the world a better place. Well done, my friend. Also yes, I know they aren’t AM-2 anymore, but I don’t care. VIVA LA PALMA!